The Cuisinart DFP-14BCWNY is made from sleek brushed stainless steel, this sleek kitchen workhorse is a breeze to use and will whir through prep and cooking with ease. Whether you are making a weeknight meal or a weekend celebration, the large capacity work bowl will hold everything as the 720watt motor makes quick work chopping whole fruits and vegetables, shredding cheese, or kneading dough. 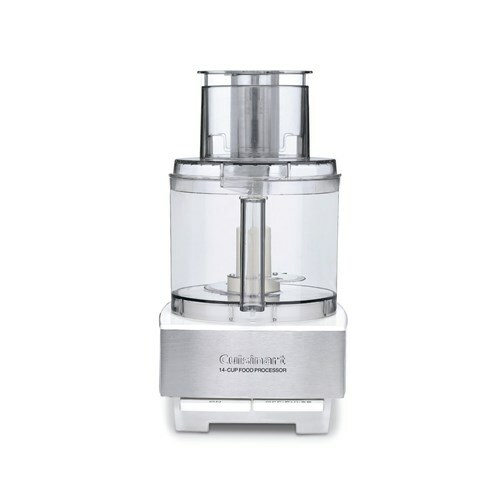 The Cuisinart Custom 14-Cup Food Processor has many exciting features for users of all types. You can extend the lifetime of your Cuisinart Custom 14-Cup Food Processor with the purchase of a FactoryOutletStore Factory Protection Plan. 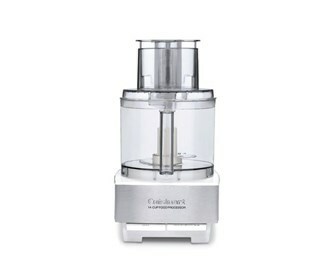 The Cuisinart Custom 14-Cup Food Processor is sold as a Brand New Unopened Item.